Borrowing shamelessly from one of my favourite things on Litsy (I’m @Verity if you’re over there, do come and find me) I thought I’d start recommending books on Wednesdays. Some times it might be a big long post about a book I haven’t talked about before, sometimes it might be a quick bump for one I’ve written about before, sometimes it might be a book that’s topical, you get the idea. I’m going to try and be good and post one each week, but we’ll see how that goes. 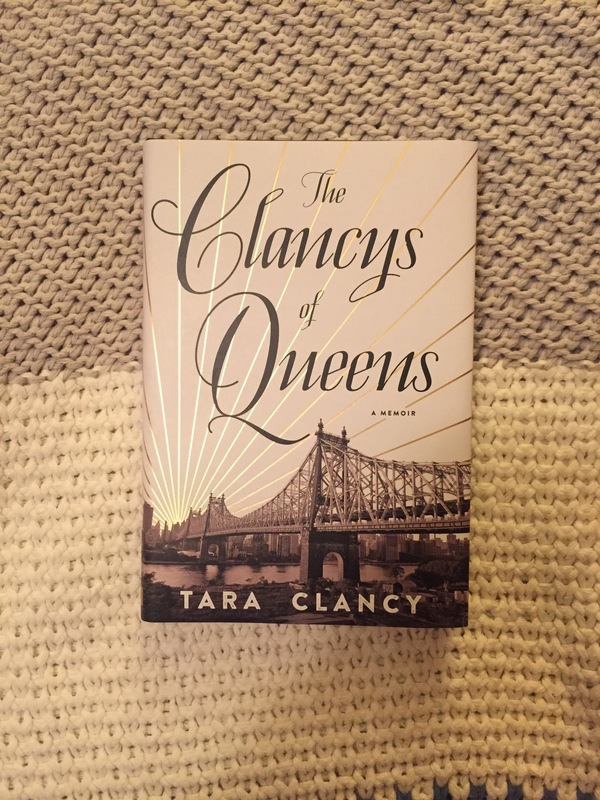 Anyway, I’m kicking Recommendsday off with The Clancy’s of Queens which tells the story of Tara Clancy’s childhood and youth in Queens. Tara’s parents divorced when she was small and she spent a lot of her childhood shuttling between her grandparents’ house in a geriatric neighbourhood, her father’s converted boathouse home and her mother’s boyfriend’s house in the Hamptons. This, unsurprisingly left her with some issues as she switched between working class, middle class and upper class communities. Tara talks about her experiences with humour and I haven’t seen many (any?) similar memoirs. I’m convinced that I wouldn’t have made it through the school system in Queens in one piece, but it makes for a great read. I mentioned this book in my personal Christmas book request post after hearing about it on a lot of podcasts – and I got given it for my birthday. As it’s in hardback it’s taken me a few weeks to get around to reading it. But I’m very glad I did. It’s an American import, but you can get a copy from Amazon (I do hope Him Indoors didn’t pay £20+ for it for me!) or preorder the (slightly cheaper, but still fairly eyewatering) paperback. There is an audiobook version – but it’s not available on UK Audible.